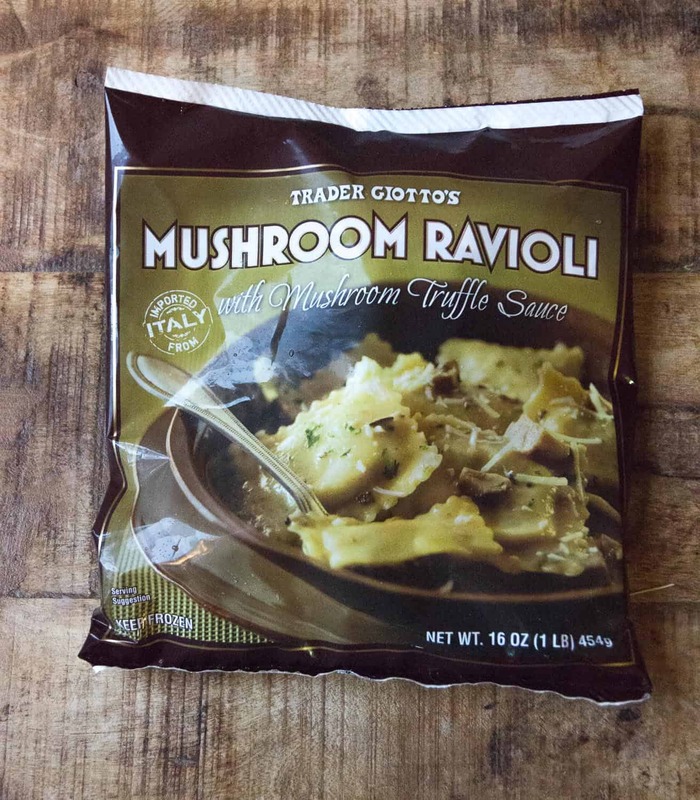 I’m hardly the first blogger to write an “Oh My God, I just love Trader Joe’s” blog post. But on my monthly shopping trip there last Sunday, I realized that good old TJ’s has a ton of stuff particularly well-suited for those of us with an empty nest. When I got home, I pulled out 10 of my favorites to share with you guys. Nobody’s going to knock these over! 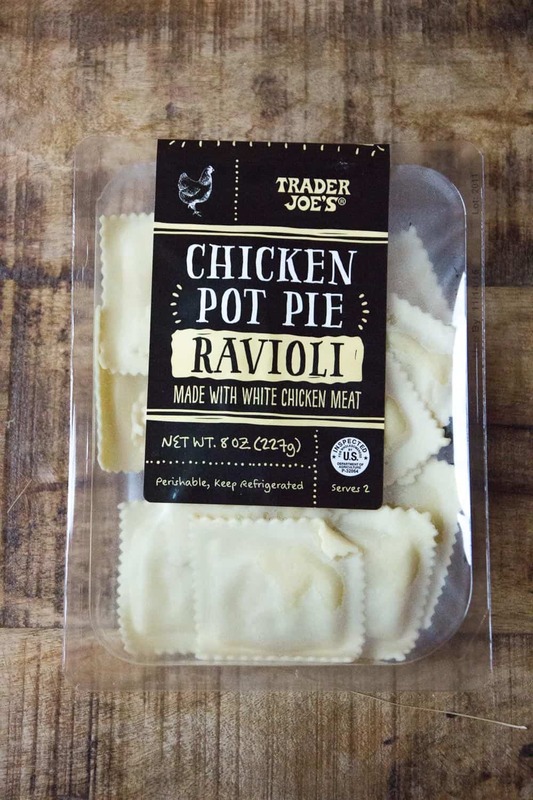 It’s Ravioli that tastes like Chicken Pot Pie. Allegedly serves 2. Do you know how many of these I would have had to buy to fill up two teenage boys and a girl and a Mom with decent appetites? Like, a hundred packages. If I also serve a pre-made Trader Joe’s salad, one package will suffice for both my husband and me. However, I’ve made two packages and thrown portion control and good nutrition to the wind. 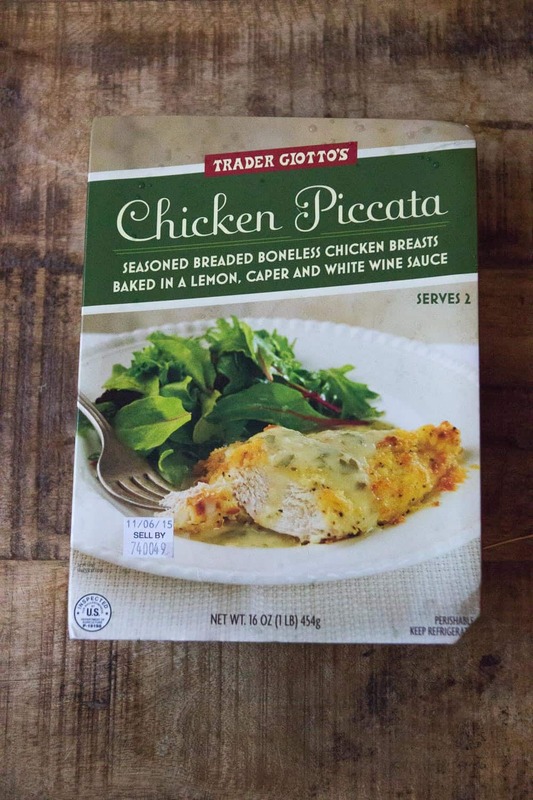 I like to serve this with just some parmesan cheese (the good shaved stuff from the cheese section), but throw in some jarred alfredo sauce and you’ve got a meal that you didn’t so much cook as you heated. 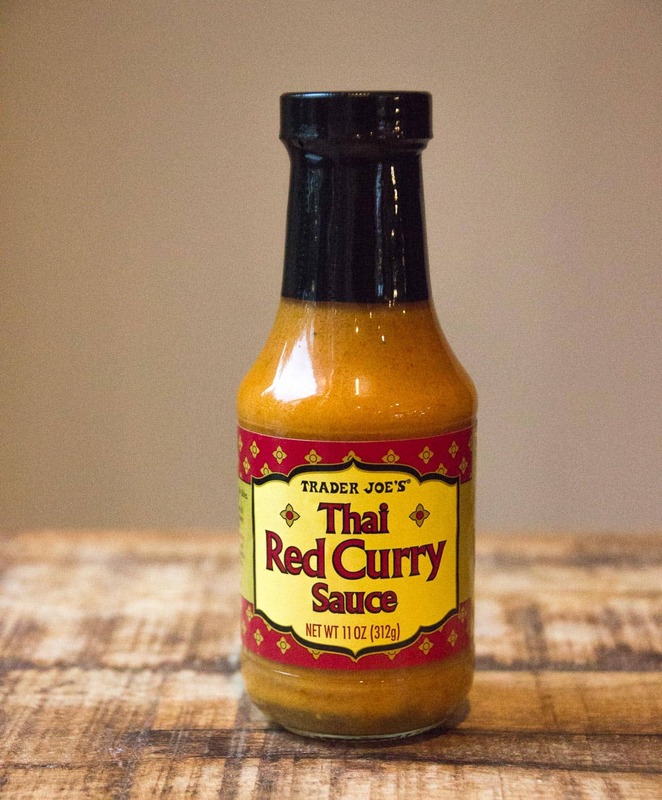 Speaking of sauce, this Thai Red Curry Sauce is yummy over pretty much everything: chicken breasts, pork medallions, chickpeas, you name it. It’s the perfect way to turn the stuff I tend to have in my house even if I didn’t make it to the grocery store into a meal: thaw out that chicken breast from the bottom of the freezer, cut up that onion of unknown age and saute it with the mushrooms that look like they’re about to turn. Toss the whole thing along with some rice with this sauce and you’ve got a lovely meal that says you’re an organized, planning type of person who likes to make things special. Serve with Two Buck Chuck. I love these noodles. They stay fresh for a couple of months so I actually use them pretty frequently as a substitute for rice when I’m making my Thai Red Curry Sauce emergency meals. They’re also great in soups. 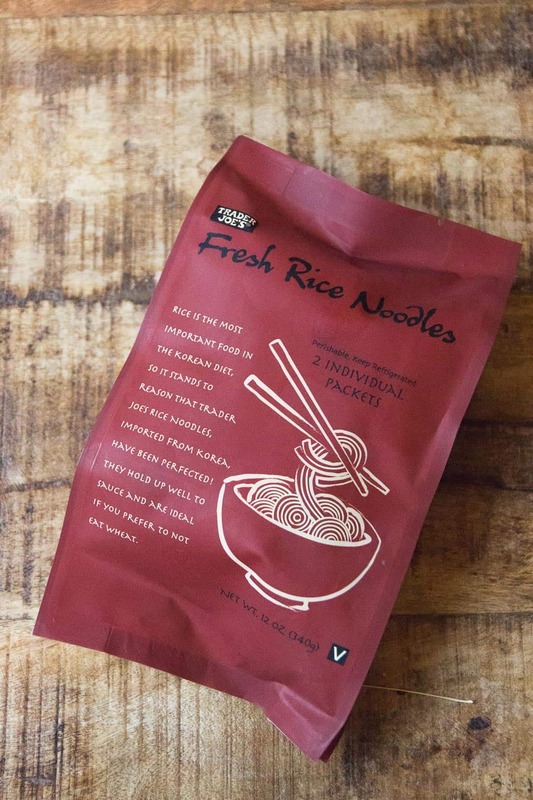 Warning: a little goes a long way with this noodles. I think the package says that each packet has 6 servings and, in this case, I’d respect that. They’re pretty high in calories and surprisingly filling. This is probably my favorite thing we buy; it’s certainly my husband’s. 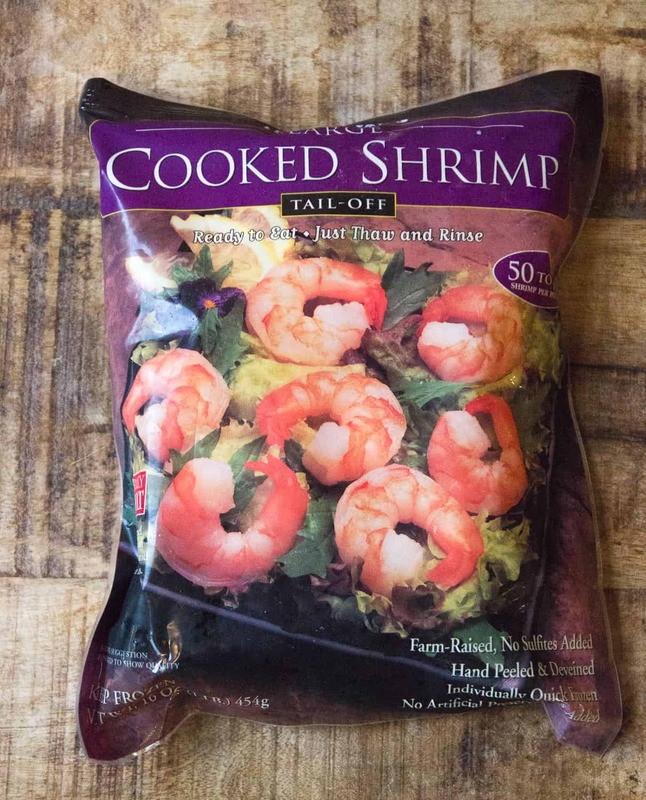 Delicious frozen shrimp completely ready to go; all you have to do is quickly thaw it. This is also amazing with the Thai Curry sauce, but we typically serve it grilled with butter and salt and pepper. So yummy! The shrimp is my husband’s favorite and the brussels sprouts are his least favorite. In fact, he won’t eat them. Ha ha, more for me! How easy is this? Roast them in the oven for a while or saute them in a pan and then eat up yummy, guilt-free, filling veggies for 60 calories a cup. He doesn’t know what he’s missing. And then there are the nights when I cannot even handle adding rice or sauteing in a pan. Perhaps – perhaps! – I can add a bagged salad. On those nights, I turn to reasonably priced, reasonably delicious frozen foods. I supplement these meals with reasonably priced, reasonably delicious wine. There are so many things I love at Trader Joe’s just perfect for two people that I didn’t mention because I didn’t buy them on this trip: cut up chicken just right for fajitas, frozen onion soup!, and really good steaks, just to name a few. What are some of your favorites? Next Post Oprah’s Favorite Things: The Good, The Bad and The What? There’s a reason I only go once a month – mine is pretty close but parking is a pain and it’s always packed! Everything there is pretty wonderful though so it’s totally worth it. I love my local Trader Joe’s and, while not an empty Nester, have added these to my list for today. And the flowers. I do deserve to buy me some flowers. 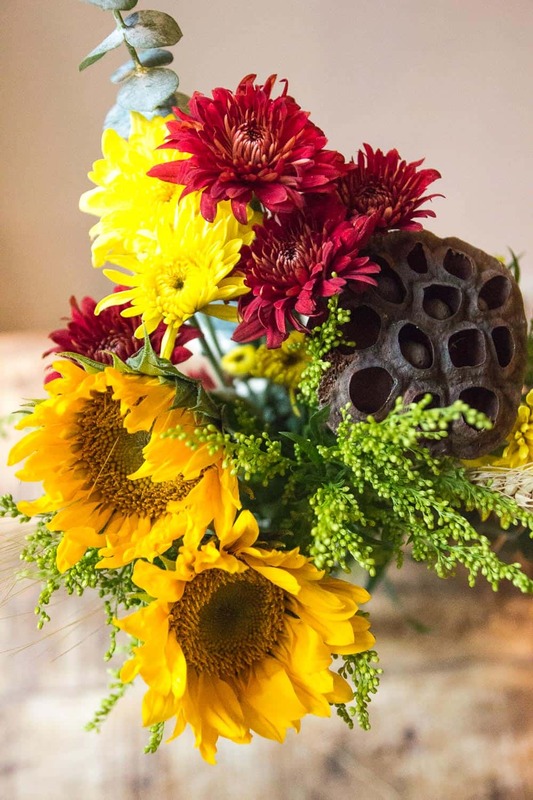 We all deserve pretty flowers. They make me so happy – I should have been buying them all along! Too funny! I’ll check it out. I love their flowers!!! And, I am hooked on their Steak and Ale pies – in fact, a great dinner for tonight! Their dark chocolate peanut butter cups and dark chocolate covered almonds are to die for! Great produce selection. And I could go on, and on…. I have gotten so many great ideas from writing this! I’ll definitely check out the Steak and Ale pies next time. Their produce is excellent-I feel like I didn’t focus enough on their healthy options. Chicken in that red thai curry sauce? Sublime. Super sublime. At least every few weeks I make it. Hi Katy! Thank you for linking up with us at #WednesdaysWisdom and sharing your best buys from Trader Joes. 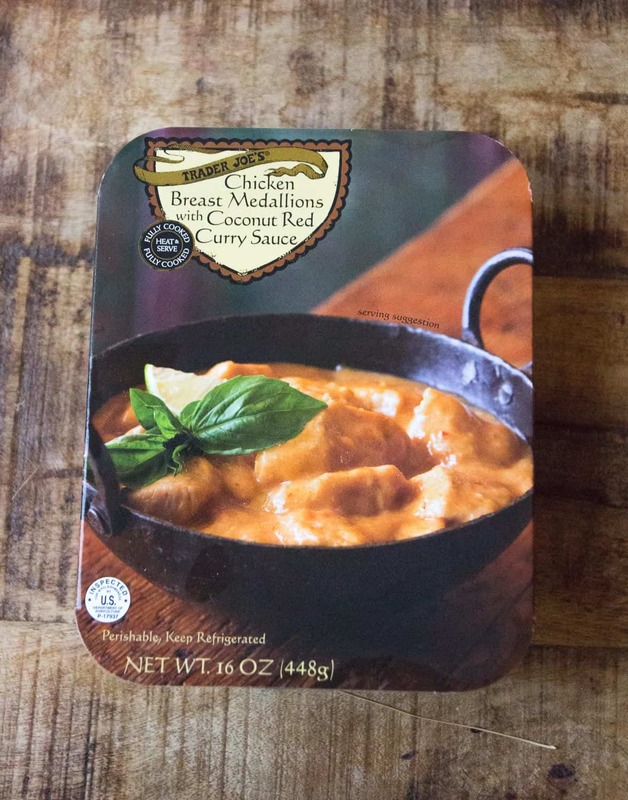 I like the Chicken in a Coconut Red Curry Sauce – sounds delicious. We don’t have Trader Joes in Australia so maybe I’m missing out! Have a great week! Thanks Sue! I’ll be back today to check out so more of your links – yesterday kinda got away from me. I love Trader Joe’s too and have tried some of these. I am always looking for recommendations on which product is good. I will now go get the mushroom ravioli !